" Enjoy a fresh and balanced Cabernet Sauvignon with intense ruby red color and aromas of blackberries and strawberries,outstanding balanced tannins and a pleasant finish." Enjoy a fresh and balanced Malbec with red purplish color and aromas of red plums and spices. In the mouth, it is fruity with a pleasant finish. Wine & Spirits 91 "While it may seem simple and fruity at first, this cabernet slowly develops layers of spice and herbal notes on a texture that flows smoothly through to the end. This is a terrific example of cabernet with balanced ripeness in Mendoza, where the grape can easily overripen." Wine Spectator 93A pure-tasting red, with concentrated dark plum, kirsch, mineral and dark chocolate flavors that glide over the palate. Long and lush, presenting a core of sweet spice and creamy notes that fill the rich and powerful finish. Drink now through 2022. 20,000 cases made. Wine Spectator 90 WS TOP 100 2011 Rank 51 "A ripe red, offering ample acidity to support the jammy kirsch, plum sauce and wild berry coulis notes that are framed by medium tannins, with the finish pumping out hints of smoke, spice box and graphite. Drink now through 2017. 60,000 cases imported." Wine Advocate 89 "The 2009 Reserve Malbec spent 12 months in first and second use French oak. Expressive aromas of sandalwood, exotic spices, mocha, cherry cola, and assorted black fruits lead to an elegantly styled, nicely proportioned, plush Malbec that will perform optimally from 2013 to 2021. Wilfred Wong 88"Soft, with jammy plum and fig notes backed by a hefty dose of cocoa-tinged toast." Wine Spectator 92 "Rich and dense, offering beautifully detailed mocha, boysenberry, fig and black currant notes, all framed by alluring spice, anise and graphite, with a long, rich finish. A large-scaled style. Very impressive. Malbec, Merlot and Cabernet Sauvignon. Drink now through 2013. " "
Wine Spectator 90"Bright red fruit--raspberry and red currant--with floral and mineral notes as well. Nice creamy texture with a racy mineral underpinning as well. Still a touch tight for now, so cellar short-term. Best from 2005 through 2008. 7,000 cases made. 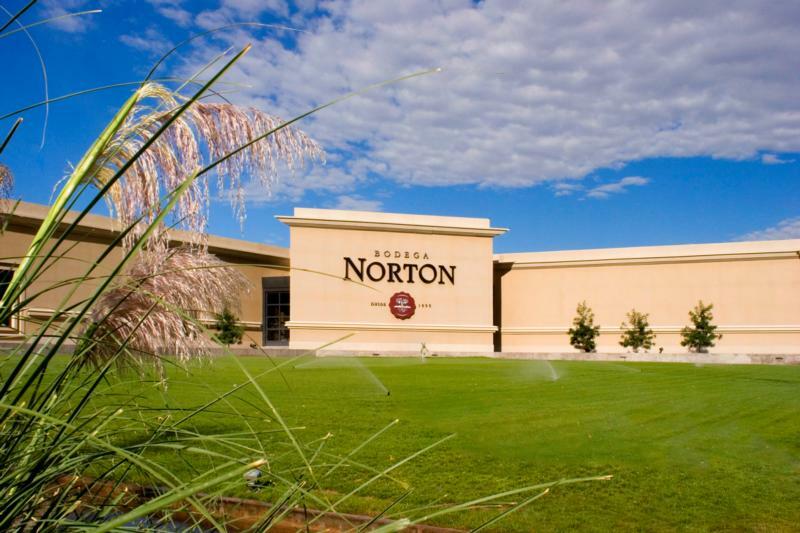 –JM"
Wine Enthusiast 90"Norton Reserva is one of Argentina’s best Cabernets for the money. This vintage offers a mineral aroma along with rose petal, baked plum and spiced cherry scents. It feels deep, generous and balanced, with cassis, blackberry, earth and molasses flavors."